What's the Price for the 2019 Kia Sedona? How Many MPG Does the 2019 Kia Sedona Get? At Kia of Meridian, we offer a stylish selection of Kia Sedona minivan vehicles at competitive prices. As one of the top minivans on the market, the 2019 Kia Sedona has an expansive list of safety, interior, and exterior features. If you've been exploring the idea of purchasing a new minivan, the 2019 Kia Sedona should be at the top of your list of vehicles to explore. For 2019, the Kia Sedona offers new features that add to this vehicle's winning design. Let's take a look at these new features. Upgrades in the 2019 Kia Sedona include a slightly revamped exterior, an 8-speed automatic transmission with a 3.3-liter V6 engine and a rear entertainment system. If you'd like to learn more about the updated features in the 2019 Kia Sedona, visit or contact Kia of Meridian. A dedicated sales professional can tell you all about the new 2019 Kia Sedona. The 2019 Kia Sedona is available in the following model configurations - Sedona L, Sedona LX, Sedona EX and Sedona SX. Exterior Kia Sedona color options include Silky Silver, Titanium Bronze, Celestial Blue, Snow White Pearl, Venetian Red, Aurora Black, and Platinum Graphite. With a seating capacity of up to 8 passengers, the 2019 Kia Sedona is the ideal minivan to transport family members on cross-country trips. Standard and available interior features include a 7-inch touchscreen display, an AM/FM/MP3 audio system, Android Auto, Apple CarPlay, Bluetooth compatibility, a wireless phone charger, 12V power outlets, a rear-camera display, and a surround view monitor. Advanced safety features in the 2019 Kia Sedona are dual front advanced airbags, full-length curtain airbags, 3-point seatbelts, front seat-belt pretensioners, Electronic Stability Control, and a Traction Control System. The exterior styling of this Kia minivan include a black mesh grille, body-color mirrors, LED turn-signal indicators, power-folding outside mirrors, Smart Welcome, solar control glass and rear privacy glass. To see all that the 2019 Kia Sedona has to offer, you must explore it in person at Kia of Meridian. It would be our pleasure to meet you at Kia of Meridian. A trained Kia Sedona sales professional can explain this vehicle's features in greater detail. Our Kia dealer's pledge is to provide you with exemplary customer service. 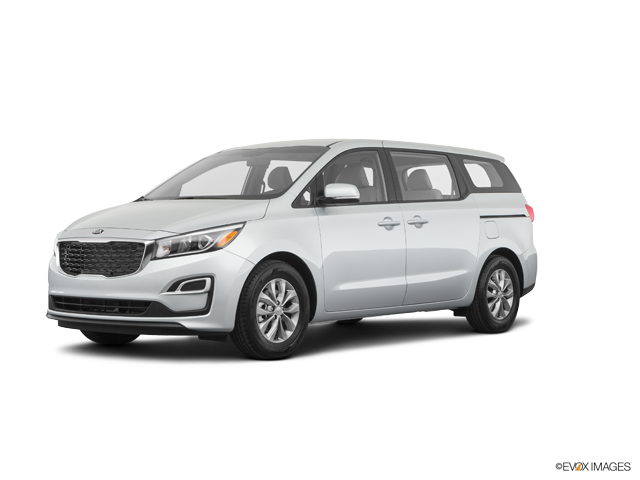 Come to Kia of Meridian to explore the 2019 Kia Sedona today. * "Starting MSRP" is manufacturer's suggested retail price (MSRP) for base model trim. MSRP excludes destination and handling charges, taxes, title, license, options and dealer charges. Actual prices set by dealer and may vary.